The Pond liner patch by Aquascape is a 6 inch self-adhesive water-tight patch that seals accidental holes in the liner of a small pond. 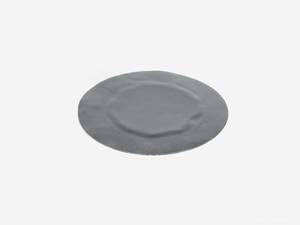 The product is very effective with covering and patching the holes in the liner. It prevents from any future leaks and stops the current leaks. The product ensures that clients will not have to worry about any holes in that area. The patches are built of a strong material making sure it is effective. Who is pond liner patch by Aquascape for? The product is best for users with holes and leaks in their small ponds. Leaks are never fun making this product one of the best ways to seal any holes. The product is made fish-safe and environmentally safe assuring that the environment and fish remain healthy. The product is very effective. The product offers the best at one of the best prices.